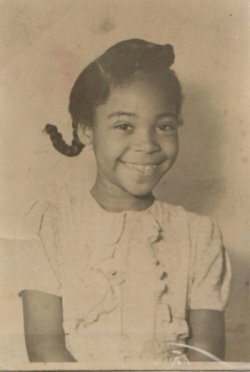 1-"Born & Raised in Bluemont"
Born in 1938, Marie Scott comes out of the old Black community of Bluemont. 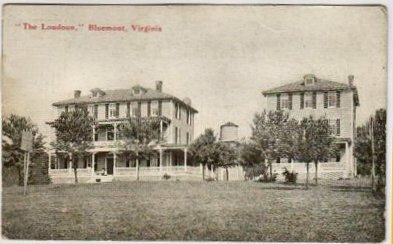 Traditionally, there were two Black neighborhoods in Bluemont: 1) on the Old Mountain Road, which connected Bluemont village with the free Black community lands (sold by Civil War veteran Dr. George Plaster following the war); and 2) the area around Old Route 7 and Clayton Hall Road (although most of these houses were destroyed when the current four-lane Route 7 “Bypass” was constructed in the 1970s). In this interview Marie recalls her family, her childhood, and her working life, during which, for 33 years, she was a well-known presence in the Purcellville office of beloved veterinarian Dr. Kent C. Roberts, and after him, Dr. Chamberlin and Dr. Washington. 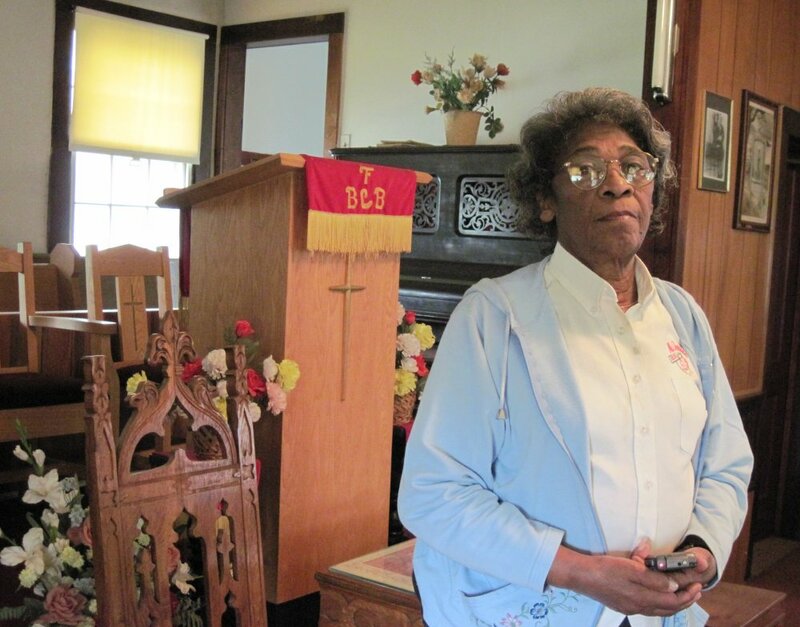 As a child, Marie Scott attended the First Baptist Church of Bluemont when it was located on the Old Mountain Road, and has been a pillar of this church since it was relocated to Snickersville Turnpike. 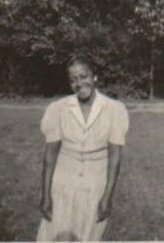 Marie Scott currently resides in the Inova Loudoun Nursing and Rehabilitation Center in Leesburg. 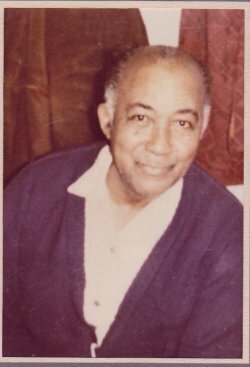 Our thanks to Alvin Coates, Marie's nephew, who reviewed the transcript and helped identify people in the photos. 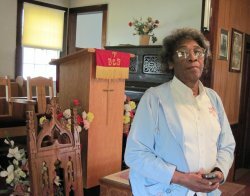 --See letter on Marie Scott in Feb 4, 2012 Blue Ridge Leader. "Born and Raised in Bluemont"
Susan. So, you were born and grew up in Bluemont? Marie. I was born and raised here in Bluemont, right here on the road, beside the road [Clayton Hall Road] leading to the Bypass [Route 7]. This was up where Ruth’s Home used to be. In that little yellowish house the right side of the road as you drive out. Susan. What year were you born? Susan. So, you’re kind of a war baby, growing up during war time. And did you have brothers and sisters? Marie. There was seven of us. Five girls and two boys. 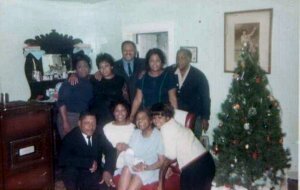 Oldest is Virginia, then Sherman, James Ed, Martha, Ruth, Marie, and then Mary. Susan. And did one of your sisters recently pass away? Susan. Can you tell me about your mother and father, were they local people? Marie. All that I know, they were both born and raised right here in Bluemont. Pam. What were the dates of their birth? Marie. Dad was born 1903, Mom was born 1900. Her maiden name was Jackson( photo right). Marie. Yes, James Mayo Scott (photo left). Susan. Mom and Dad – what were they like? What did they do? Marie. Well, Dad worked for the railroad up here in Bluemont. He had a job there. I guess cleaning and washing, I don’t know. I know he worked at the railroad station. 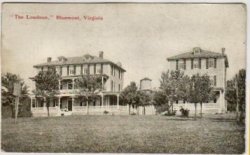 My grandfather worked at the Bluemont hotel and then later drove Miss Ruth’s car for her. The hotel was a big house up on the side of the road, on Railroad Street. Ruth’s Home bought it from the Beatty’s. Susan. And Mom, what did she do? Marie. Mom she just stayed home and raised the children. But she worked for the Beatty’s also. And she worked for 30 years at Ruth’s Home. Pam. Ruth’s Home took care of retarded children? 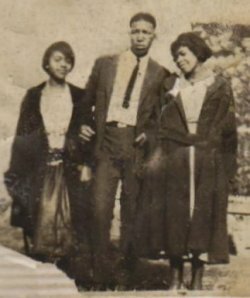 Front Row, L-R: James Edward Scott, Marie A. Scott, Elsie Jackson Scott, Mary L. Scott. Pam. I remember when Ruth's Home was still active (see historic photo, right). My son went over there to do a newspaper article on it in the late 1970s, maybe early 1980s. Susan. And so, your grandparents also came from Bluemont? Marie. I guess. That’s getting way back before me. Pam. I think it’s in that book, From Snickersville to Bluemont, that the Bluemont Citizens Association sells. There’s little section that mentions “Scott” among the free Black people who settled on the mountain on land sold by George Plaster, He was a doctor in town after the Civil War. He wrote a history about Bluemont. His great-grandson is Henry Plaster. [Note: The story Pam had in mind is probably about “Aunt” Delia Weaver, wife of Dennis Weaver, who cared for the “countless of the households and children” of Bluemont. She was cared for in her old age by Winifred Scott and in 1931 by Glovia Scott. She lived until 1935. 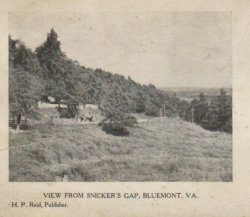 See p. 65 of From Snickersville to Bluemont.]. Susan. I’m still wondering about your grandparents—what their names were. Marie. 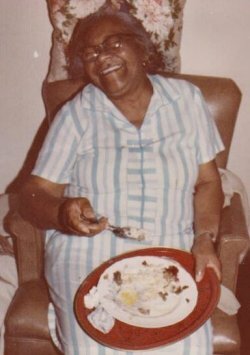 Mattie Jackson was my mother’s mother. 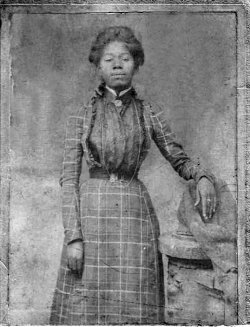 She was Mattie Anderson Jackson. And my grandma’s husband’s name was Henry R. Jackson. 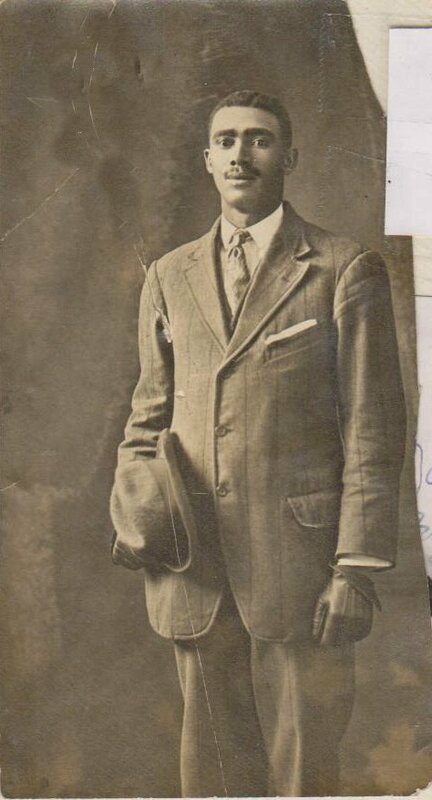 And my grandfather – Dad’s father – was Mayo Scott. And his wife was named Aniker Scott. Susan. And –their children -- were there lots of brothers and sisters? Marie: Father’s brothers and sisters were Uncle Curtis and Uncle Sherman. My uncle Sherman worked on the railroad, but he was killed on the railroad. He was 23 years old. 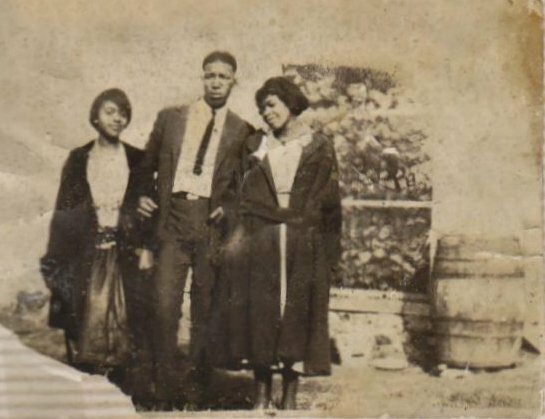 Mother’s brothers and sisters were: Uncle Shirley, Aunt Kait, Elizabeth Grooms, Paul Jackson, Leroy Jackson. Pam. It says in here [looking at a copy of From Snickersville to Bluemont] that Henry Plaster’s grandfather developed an African-American community in the village shortly after the Civil War. There was a young black doctor, Benjamin Franklin Young, who was a black apprentice physician and he bought 17 acres up there in 1871. And then it went to Dr. James Field. Dr. Plaster later sold six6 additional acres to Dennis Weaver. And Dr. Young divided his property in several parcels. You know, on the slopes. I think the black church was up there. Marie: Margo Williams -- that’s a relative of ours, a cousin. She brought this paper by here to me shortly after I moved in here. That was ’04. She brought that while she was visiting here. Susan. Marie, where did you go to school? Susan. How did you get there? Susan. May I ask what year you started school. Marie. 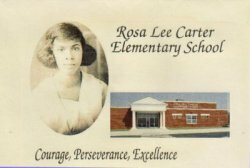 I graduated from Carver School in ’53. I went to Douglass High in Leesburg. Pam. Do you remember Mary Reid? 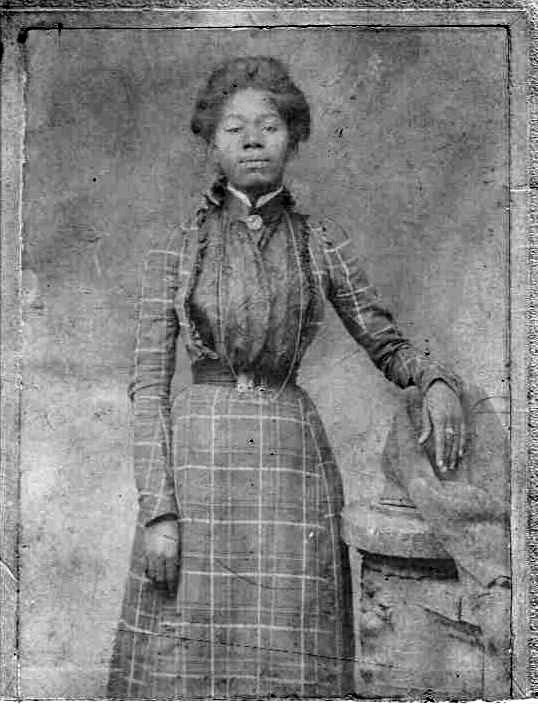 She told me how, years and years ago, because there was no high school, how they got land somehow to create Douglass. Then when it came to the point where they needed tables and chairs and books and stuff, then they got some help, so there could be a Black high school. Marie. 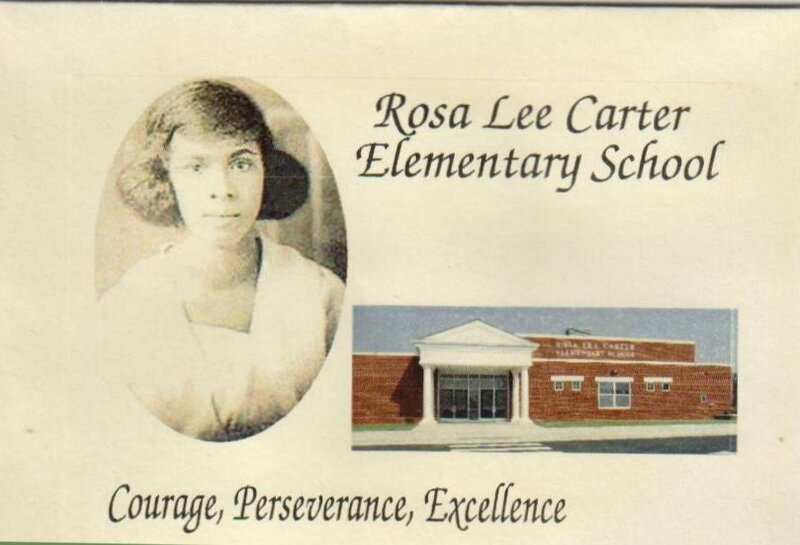 My sister Martha was in that class that went to Frederick Douglass High School. Marie. It was 1944. I was 6. Our childhood was beautiful. Marie. It was. We had lots and lots of friends to play with. I remember Bernice Manuel. They lived right across from our house (on Clayton Hall road), that was where Clarence and Bernice Manuel lived. Susan. They were friends of yours? Marie. Oh, baby! And Clarence and my brother were like brothers. Susan. So the community feeling was there. You had a happy home. Marie. Oh yes! Quite a community. It was awesome. Mr. Manuel’s daughter, Dolly -- you may not know of her, she is Dolly Manuel Journell now. She was a pretty girl and all into every – every -- thing. She was the one who gave me my Junior Prom dress, my gown. It was good neighbors, love, love, love. Marie. You know Mr. Walton Mann. 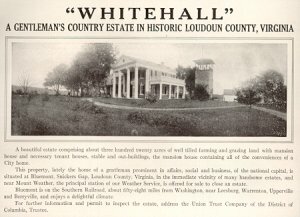 He and his wife Emma kept the Bluemont Store. Or the one before Mr. Walton Mann, I don’t know. But there was always a Bluemont Store there. Pam. Did your family get groceries there? Pam. And were there other stores in town? Pam. Was there a farrier in town? Any horses still around? Marie. Oh yes. Like Mr. Frank McComb down at Whitehall Farm. Susan. What was he raising up there? Susan. Right! Milk. I had heard that was a big dairy farm. Pam. What was that guy’s name, Logan Anderson? Did you know him? Marie. Mr. Logan and his girls. I used to see them. Pam. 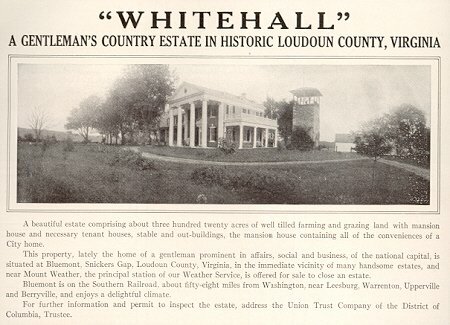 He lived down at Whitehall in a log cabin. He told me he took care of the horses, which were located across Route 7, up on the hill. He said there were 60 horses and he took care of them. And they would take wagons of corn down into Leesburg. Marie. Mr. Logan’s wife died at an early age, and Mr. Logan raised those children. He was a mother and father to them. Marie. Yes. He married Matilda Anderson from around here. Pam. What kind of work did your brothers and sisters go into? Marie. Well, let’s see. Sherman was the first to leave home – he was 18. Pam. You were pretty much Bluemont oriented? Did you play out in the town here? Marie. Played around. And then there was another nice family, white family, Alice? and John Campbell, and Bennie Jane. Marie. Made mud cakes. 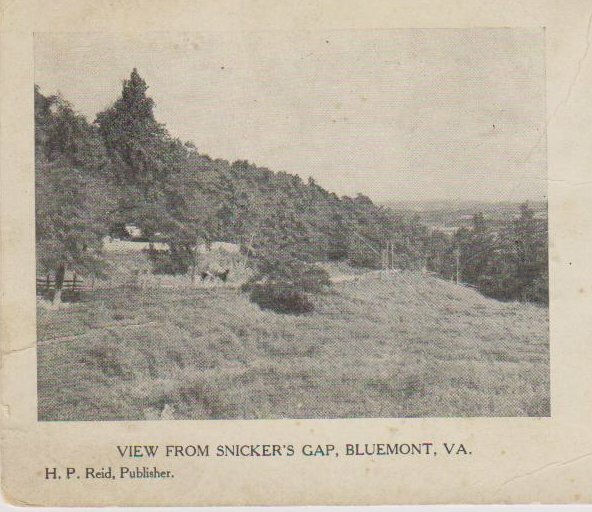 Here’s a picture from Snicker’s Gap, signed by H.P. Reed. Maybe from the 1930s. It is looking toward Winchester. Pam. That’s a beautiful picture – farms up there and fences, cleared area.